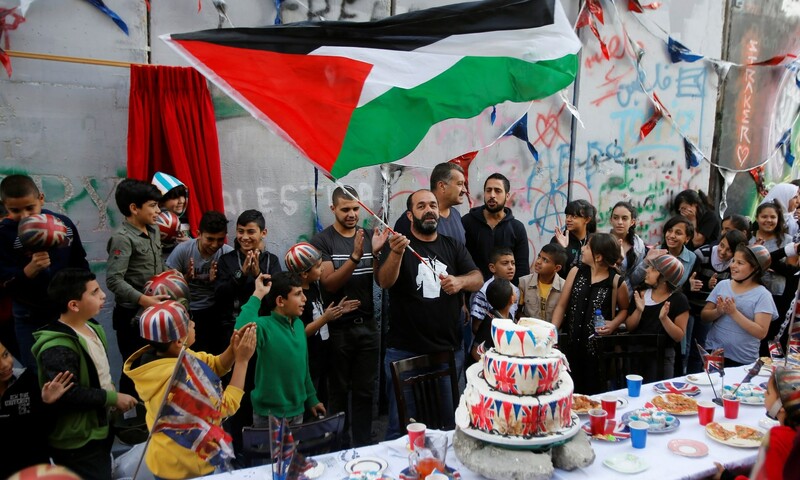 To mark the one hundred year anniversary of the signing of the controversial Balfour Declaration, the surreptitious street artist Banksy has thrown a “street party” at his Bethlehem based Walled Off Hotel. 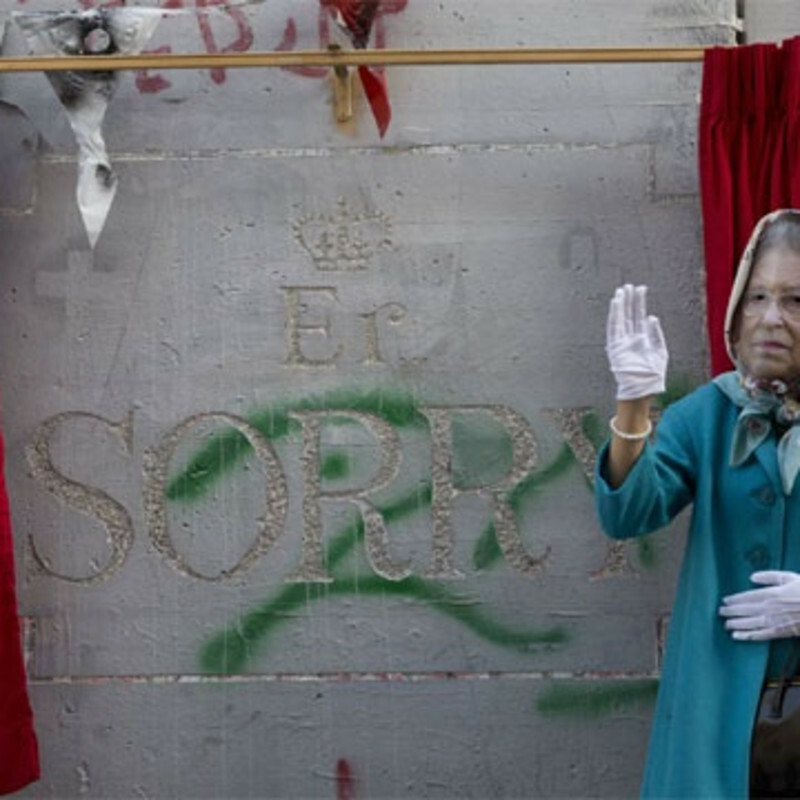 An actor dressed up as Queen Elizabeth oversaw the ceremony, which saw dozens of local Palestinian children attend from the nearby refugee camp. The Balfour Declaration gave the British Government's approval and support for Jewish national land in Palestine, enacting the creation of the Israeli state. The agreement was the genesis of the friction between Israel and Palestine, resulting in years of turmoil and unrest including the Arab-Israeli war. Banksy is well known for attacking controversial issues in his work and has visited the disputed West Bank in the past, creating large-scale stencil works on the Israeli West Bank wall that divides the two states. A statement by Banksy said: "This conflict has brought so much suffering to people on all sides. It didn't feel appropriate to 'celebrate' the British role in it." "The British didn't handle things well here - when you organise a wedding, it's best to make sure the bride isn't already married." 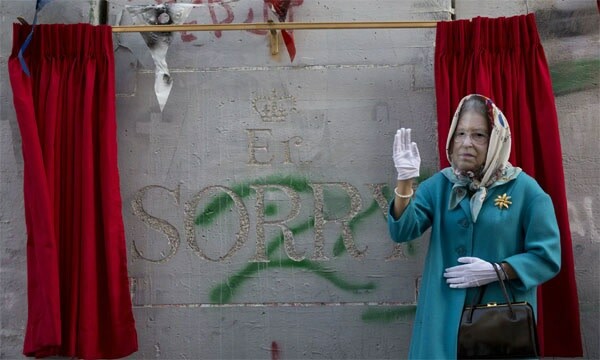 Banksy also unveiled a new work during the ceremony a mock apology to the Palestinian people from the Queen reading “Er…Sorry”. Through our gallery we have several rare and sought-after Banksy editions available. If you are looking to sell your Banksy of have any enquiries, please contact us via info@lawrencealkingallery.com or call +44 (0)20 7240 7909.